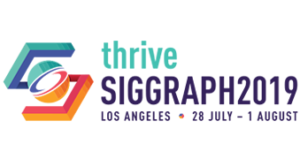 The SIGGRAPH Mobile Chair produces a one-day program that includes entertaining and informative representation of the highest quality state of the art in mobile graphics and apps. The chair recruits and supervises both a sub-committee and a jury, and interacts with contributors on formats, timing and many other editing requirements necessary for final production. The SIGGRAPH Mobile Chair works closely with the Conference Chair, the Conference Event Director, volunteers, and contractors to produce an entertaining and informative representation representing excellence in modeling, shading, animation, lighting, effects, and more. ready access to necessary resources to produce the show, including transfer, editing (film and video), and duplicating equipment as well as professional editing and production support. The following list is a “high-level” view of the specific responsibilities associated with serving as the Dailies Chair. The list is organized under general categories of responsibility.